Today I had no appetite! So pretty happy with these numbers considering I barely ate all day! 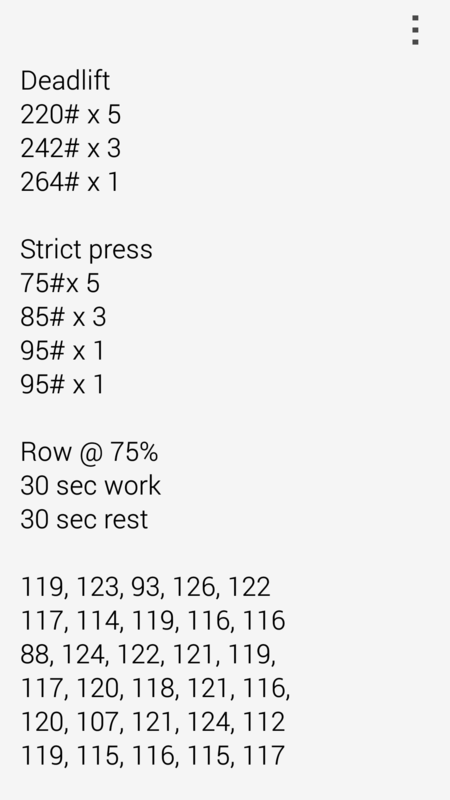 I could have gotten 100# for the shoulder press but the gym I went to didn’t have any fractional plates just 5#s. Plus side… The rower had a display that works! Tried to keep my pace similar. Was a nice way to end the wko. Yay thanks I’m happy. I was glad to see i hadn’t lost a ton of strength in my press. I think my old 1rm was 110/112ish.